Riffwarsmusic.com was created to assist and celebrate followers of @RIFFWARS on Instagram. It is our mission to provide an all inclusive site to build connections between artists in the global guitar community. 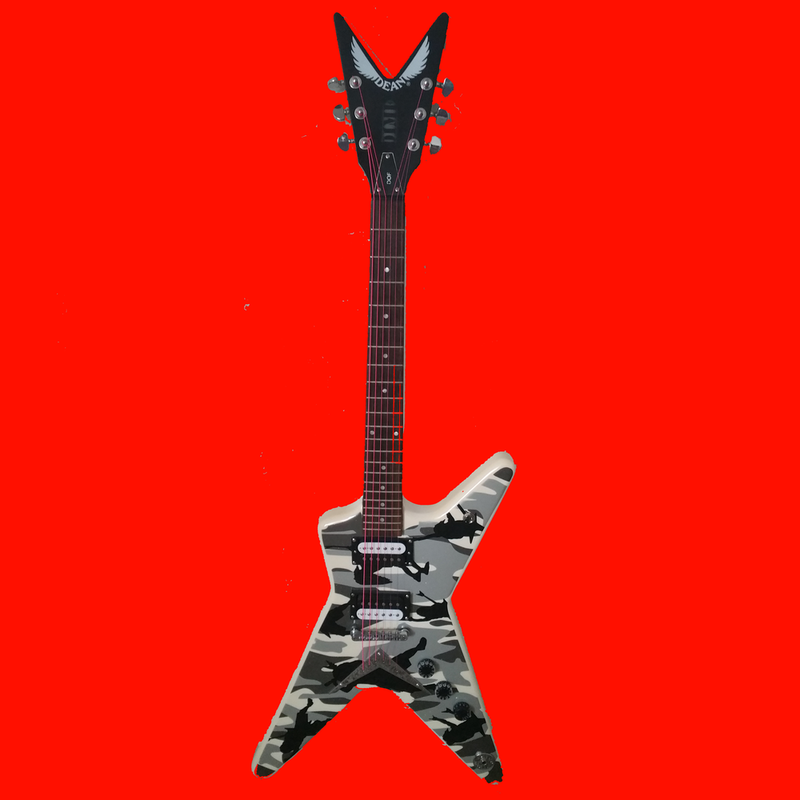 Through Riffwarsmusic.com, we hope to promote guitarists everywhere seeking exposure, instruction, and interaction with other passionate musicians. It is our goal to create a place where guitarist can connect, advance and learn, while having some fun along the way. We proudly support artists on a mission to better the world with music. Use the MENU at the top of the page to navigate through Riffwars! Riffwars officially has a facebook, come check us out! Not a guitarist? You can now be featured for playing drums, ukulele, piano, and more at @riffwarsmusic! Bass Players tag your videos #riffwarsbass and look to be featured on @riffwarsbass! NEW MUSIC HAS BEEN UPDATED! CHECK 'EM OUT! Your favorite artists are now available for your listening pleasure in full form. When fifteen seconds just aren't enough, visit RIFFWARS IN FULL for full length tracks of some of the most talented artists around. Check out our events page for upcoming contests and giveaways! You voted, they're here. Check our your 2016 HOF winners NOW! Riffwars has been able to make several donations thanks to all of our followers. Thank you for being a part of the community! Real cool artists have won real cool swag from participating in @Riffwars Contests. You could be next! @Daniel_Perek won an Ed Sheeran Martin Acoustic Guitar along with a Harmless Doves Tee and album. @Bruceyoungguitar won this sick Dimebag guitar along with a Matrix Amp. @LexyLexeyMusic won an Ibanez GIO and a Riffwars first edition T and a set of strings for her entry into the #riffwarsholidaygiveaway contest. Rock on. @riffwars and @the_slayin_hylian held a costume contest and @karlosoldevilla won a 7-string LTD. Sick. @caseyissospacey won these first edition Riffwars logo engraved pickups handmade by @the_guitarmory. This peacekeeper set was designed for metal and rock. @Melodicgnarshred won a KRAMER GUITAR. @musicasmetaphor was lucky enough to be featured this Acoustic Saturday, had the most likes. and won a free t-shirt. @amberhamlincoln won six Gravity Razer 1.5 mm smoke finish premium guitar picks, one .77 mm Gravity Translucent Purple pick, a Riffwars T-shirt and a surprise from the stash of @Bruceyoungguitar. @xbobzillaaax was runner-up and received a First Edition Riffwars T-shirt. @_nuclearwinter_ won this Schecter guitar for posting a video of his original riff! @the_guitarmory donated some sick pickups for The Guitarmory Pickup Contest. The winner made the most creative original riff. @mikebjammin won this Schecter guitar for posting a video of his original riff! Artists that had purchased any item from the Riffwars Store were eligible to win extras from strings to t-shirts and other prizes. @derekk_13 and @karlosoldevilla were just a few of the winners. 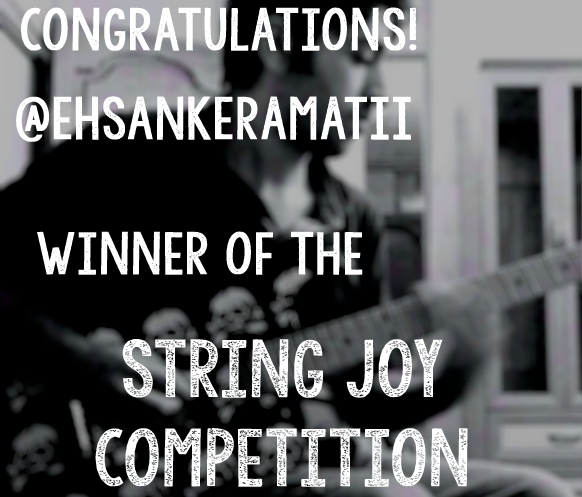 @EHSANKERAMATII won a sweet set of Stringjoy strings for the video he entered in the @Riffwars and @Stringjoystaff competition! Visit our EVENTS page for more upcoming contest information!